Our PaWz Pet Dog Double-door Kennel is the just the right pad for your furry buddy to sleep, rest or relax. 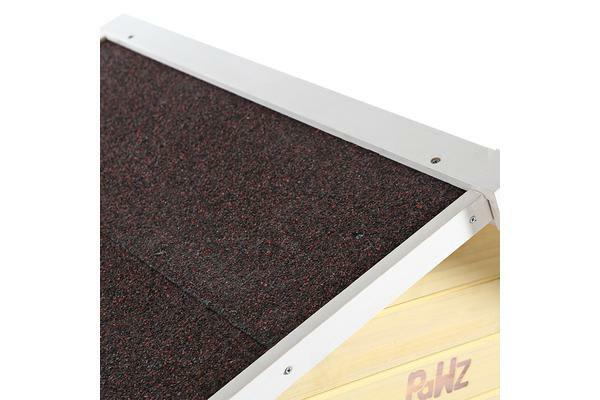 It made of high quality wood, weatherproof and UV stabilized. 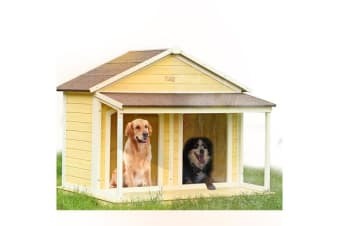 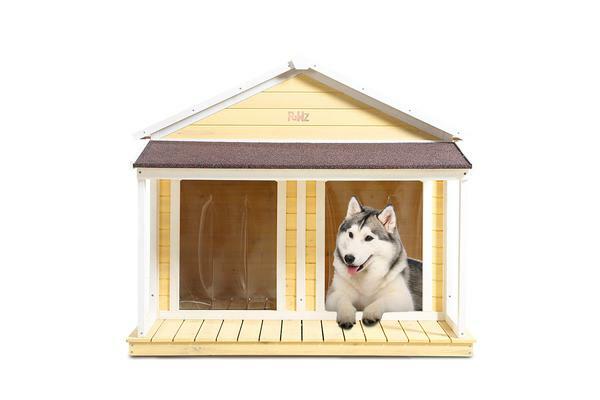 This Dog Timber House comes with a large patio, your pet will love the large patio for lazing around and getting a bit of sunshine and fresh air whenever needed.